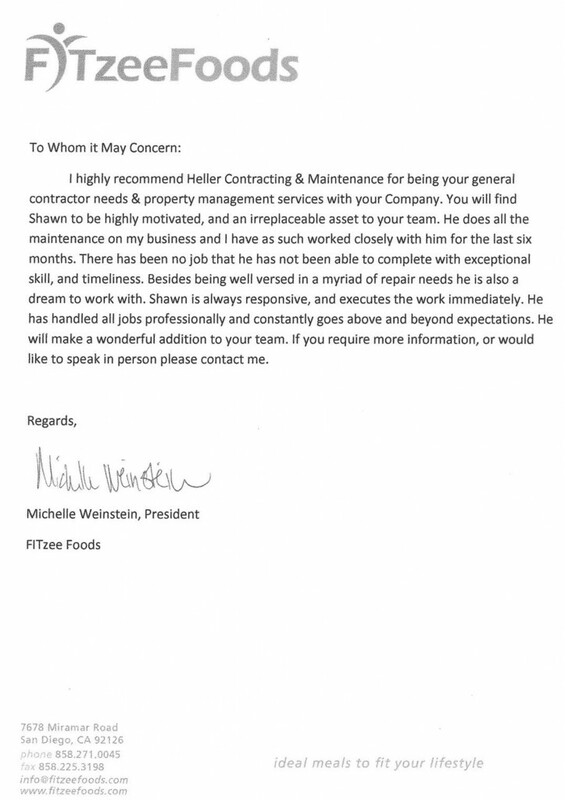 Heller Contracting and Maintenance, Inc. I had the pleasure of meeting Shawn in September 2013 when I moved my business into Liberty Station, where he was working at the time. Over the course of the first year in our new location, Shawn was called to help me address a variety of issues (electrical, air conditioning, and construction/installation) that arose as the result of poor contracting work done during our build out by another individual, who was recommended by the property owner. 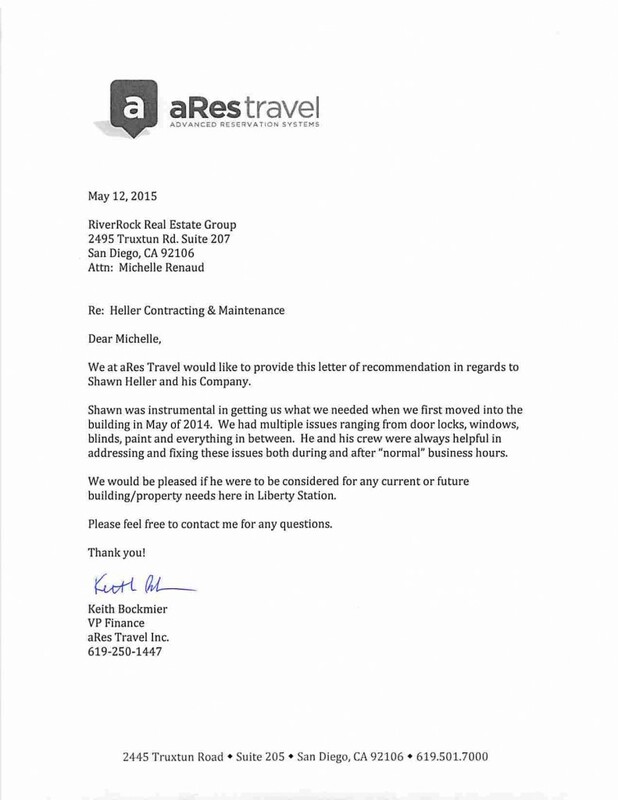 In each case, Shawn was able to evaluate, identify, and fix each issue in a timely manner. I was especially appreciative of his professionalism and expertise when he was able to direct an “air conditioning specialist” to the problem we were having with our unit, again due to improper installation, even though this “specialist” was here three times previously and could not identify the problem on his own. 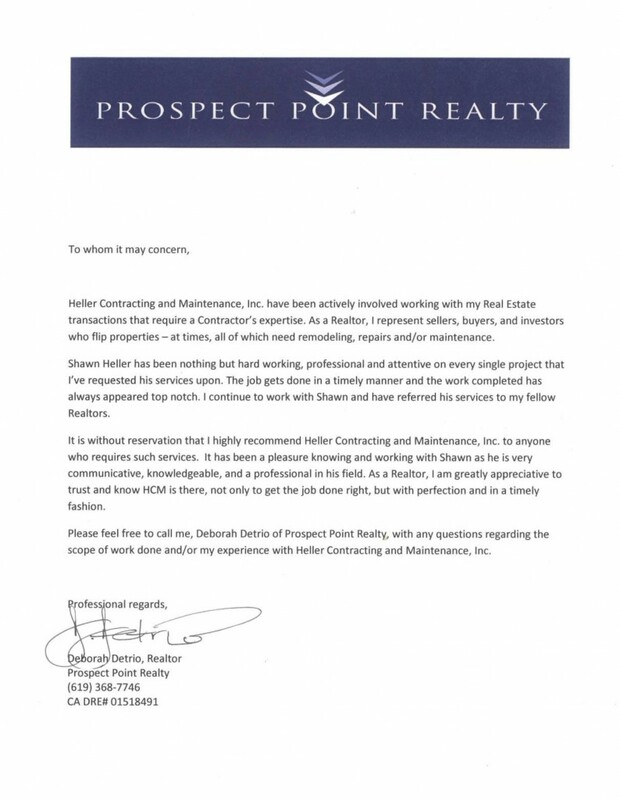 I would not hesitate to contact Shawn for any future needs and would happily recommend him to anyone in need of his services.